Eid Mubarak, everyone! I hope all who are celebrating this holiday have a wonderful, blessed celebration. (More info on Eid-al-fitr here). 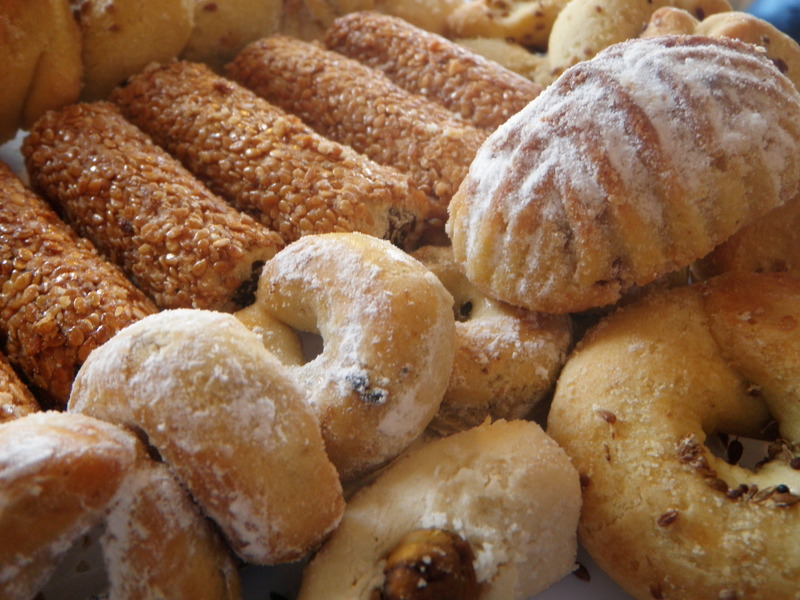 What better to celebrate our good fortune and health than with a platter of traditional sweets and some steaming hot tea? 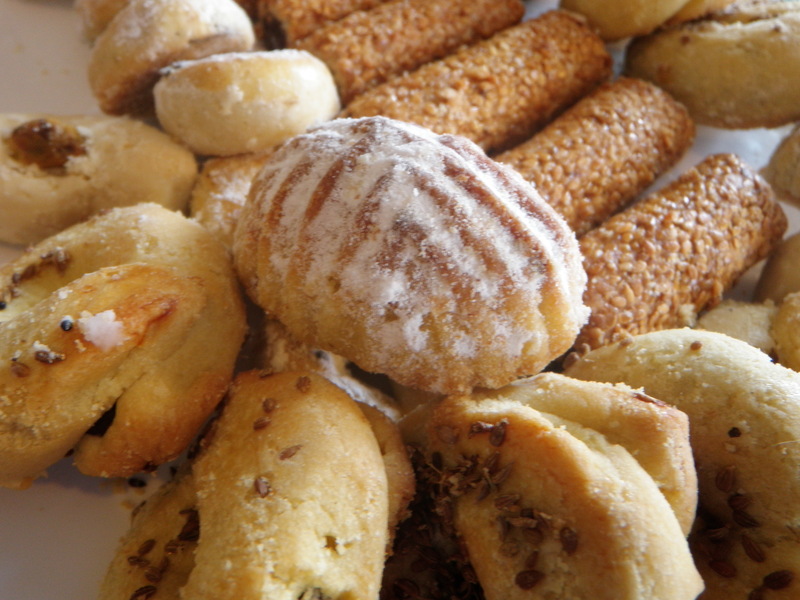 I got this big, tempting platter of cookies as an Eid gift. Truly wonderful. Another angle. 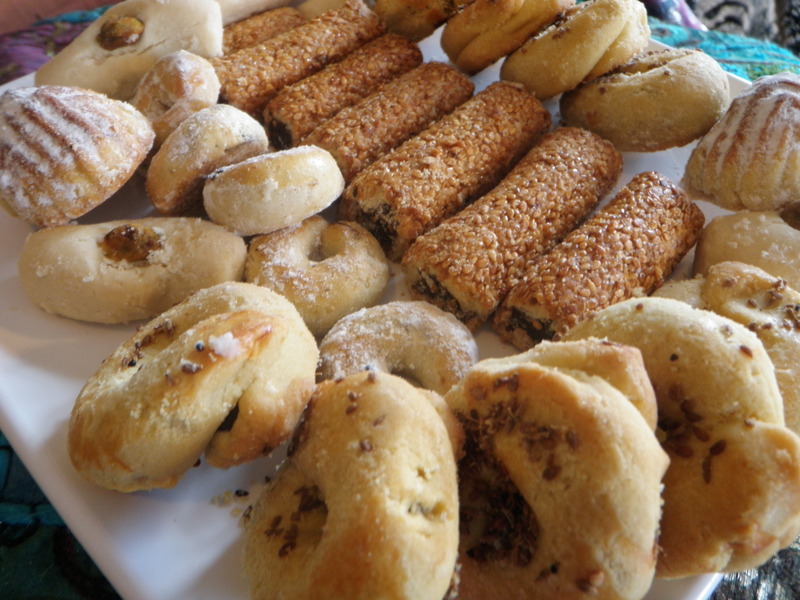 Many of these cookies are stuffed with dates. Love that! Did I make these? No, but I sure did eat more than my share. 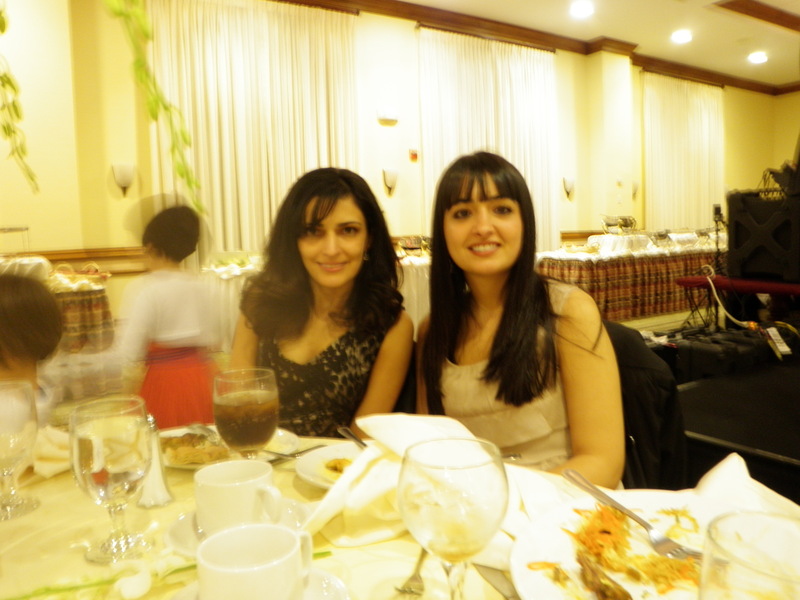 Khatera (left) and Bria (me) at her brother Zem's wedding. Khat is in traditional Afghani dress for a dance that's performed to honor the bride and groom. The rest of the time she had another fabulous dress on, which I sadly didn't get of pic of. 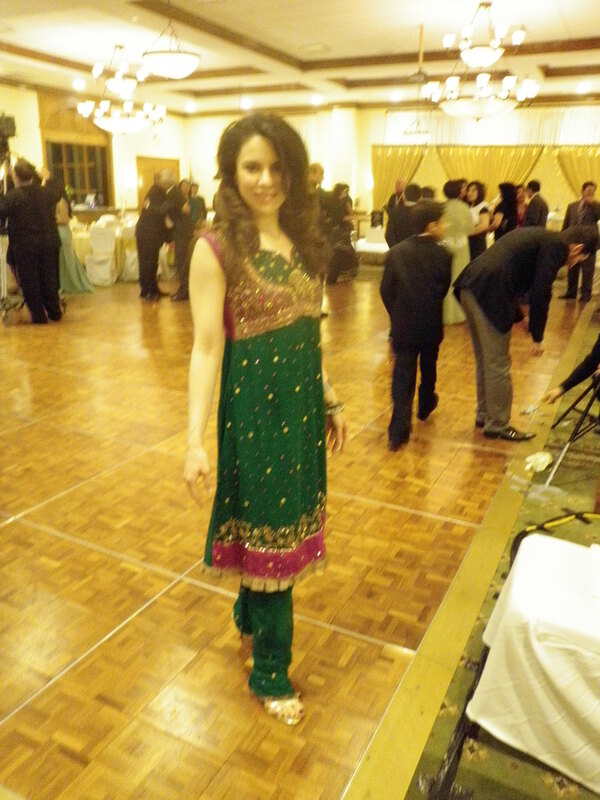 I'm in a Bollywood style outfit that I was thrilled to have an excuse to wear. This past weekend was so amazing in many ways. No, I didn’t get married–don’t let that headline throw you. But it was my birthday on Easter, which I think is quite auspicious and refreshing. After all, my birthday should be a major holiday every year. At least that’s what I think! (I kid, I kid!) 😉 Well, only half kidding. 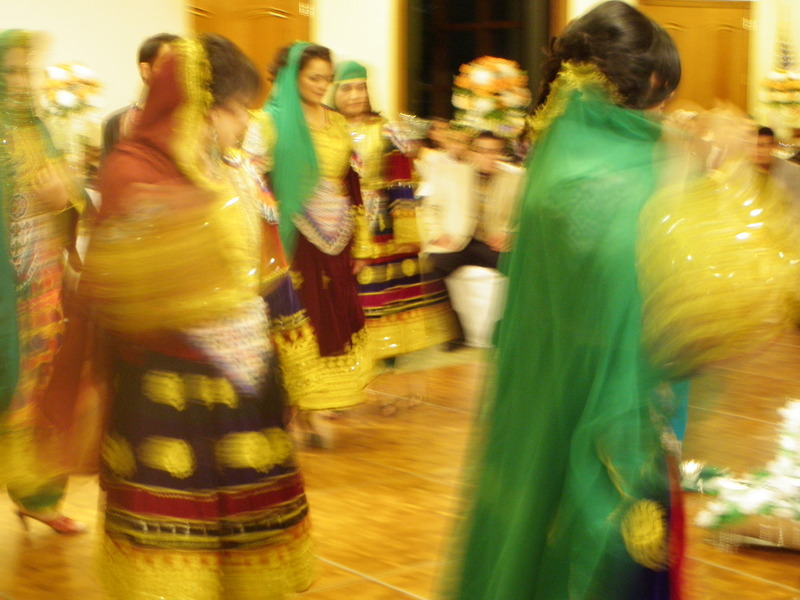 Plus, I got to do something I’ve long wanted to do–attend a Big Fat Afghani Wedding. Whoo hoo! The bride and groom. Aren't they a lovely couple? The opulent festivities didn’t disappoint, the peeps I hung with were cooler than cool, and the food was nothing short of amazing. There was so much of it and every bit was delectable. I was (mentally) playing detective with every bite, wondering what spice was in this chicken dish, if this bird was quail, pheasant, or pigeon, and how long this sauce had to simmer to reach perfection in flavor. For me, eating is one of life’s pleasures, but cooking is a close second, so if I can figure out how to reverse engineer some amazing dish, then it’s pretty thrilling. Of course, simply scoring the recipe will do. 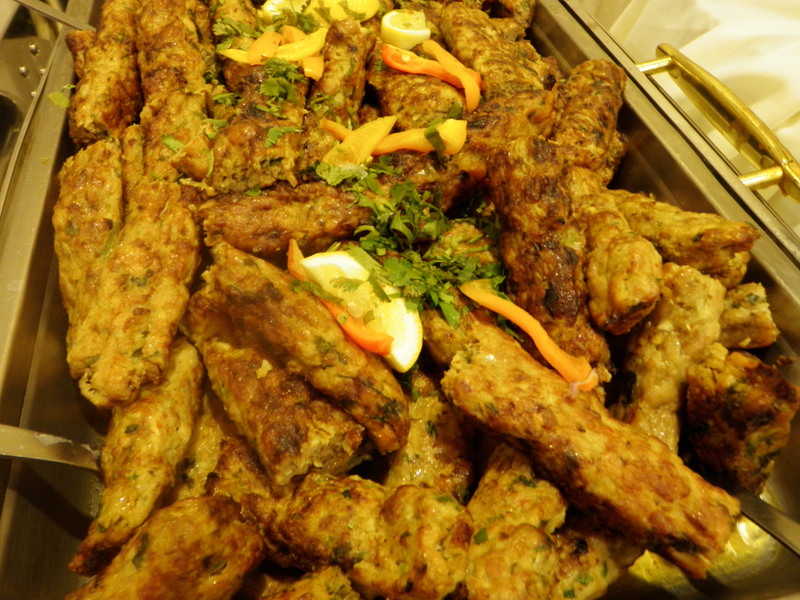 Flavorful chicken kebabs. I was sort of surprised these weren't made with lamb, but I totally dug the lighter flavor of the chicken, the juicy texture, and the depth of flavor thanks to plenty of spices. 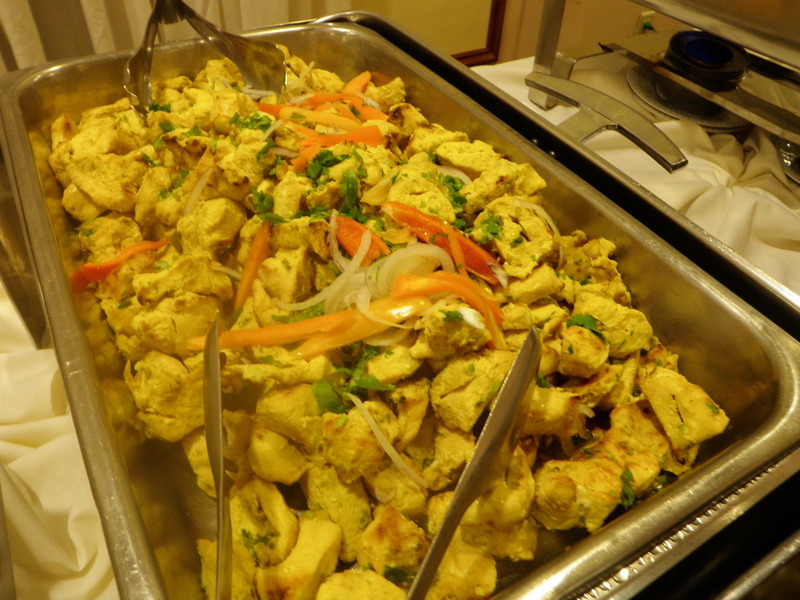 Of course, I was lurking near the buffet as they put out every dish, snapping pictures for myself this blog. Photojournalism, I tell ya! Luckily, the photography and videography crew at the wedding was also snapping pics of the food, so I’m telling myself I didn’t look like too much of a weirdo snapping pics right alongside them. The full outfit. I snagged this beauty on my trip to L.A. back in October. I got it at an amazing price--much less spendy than what similar outfits go for out here on the East Coast. 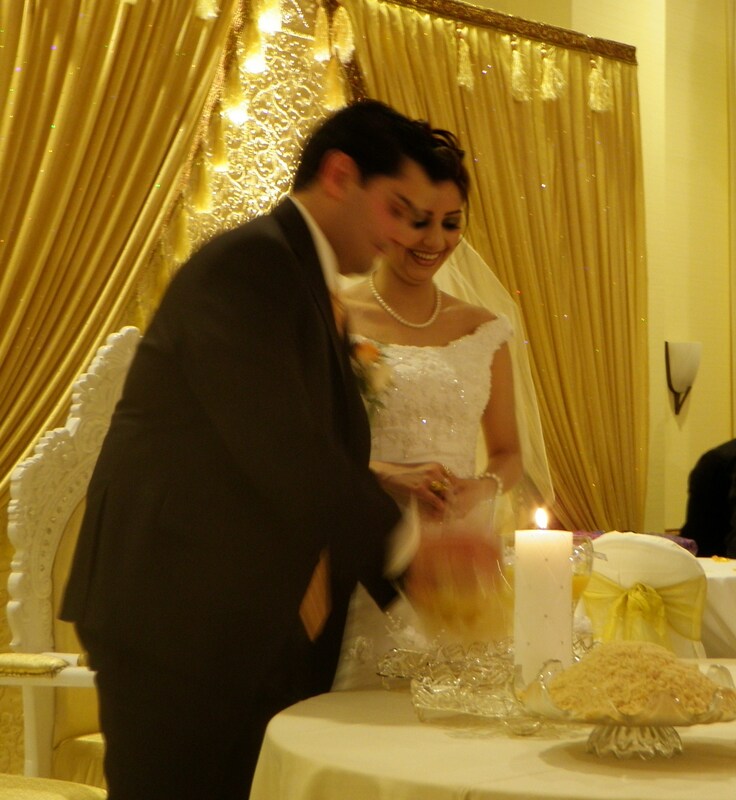 Confession time: I haven’t been to a Persian wedding in many years, but I do remember the dinner being eaten very late, and the festivities running into the wee hours. 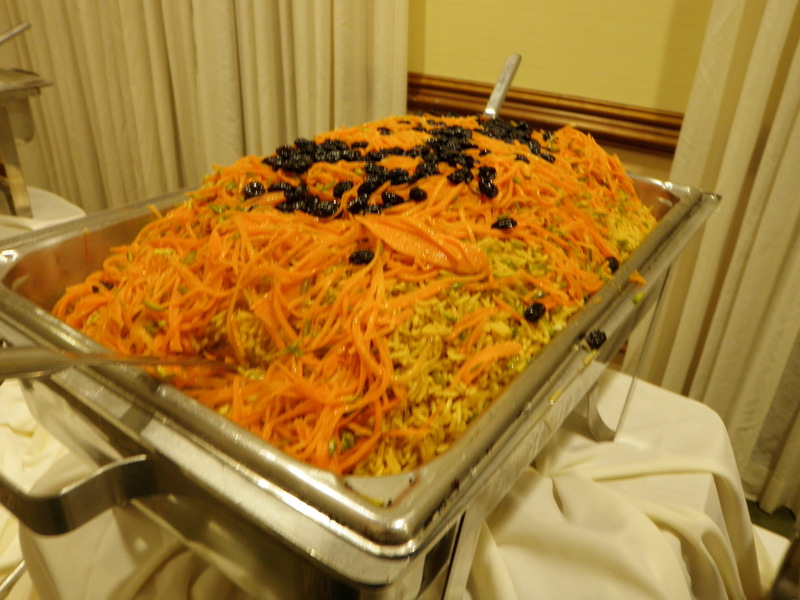 Apparently Afghani wedding roll like this as well. We probably didn’t eat dinner til around 10:30 p.m. But food tastes better when you’re hungry, and we danced before and after the meal to work up that appetite, and then work off some of the meal. Torshi. Spicy pickled veg appetizers. 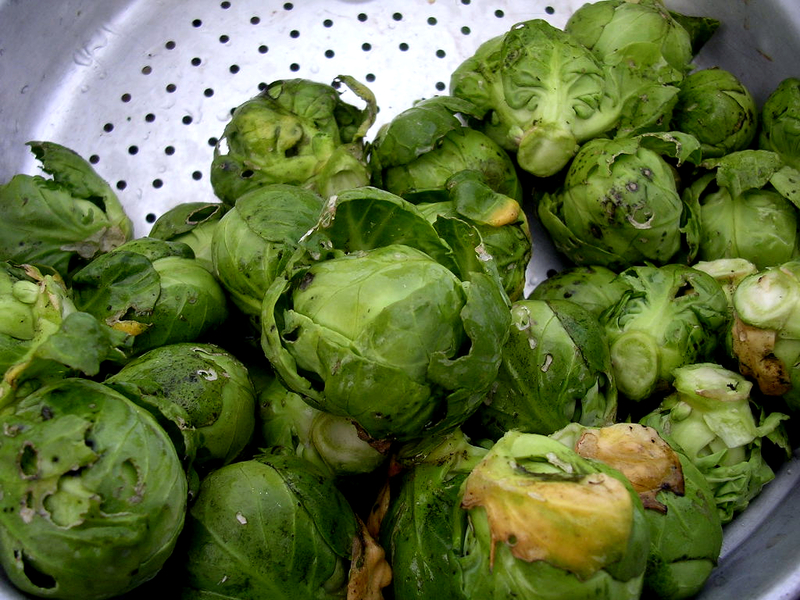 Hmmm, I've seen these in both Irani and Arabic cuisines. 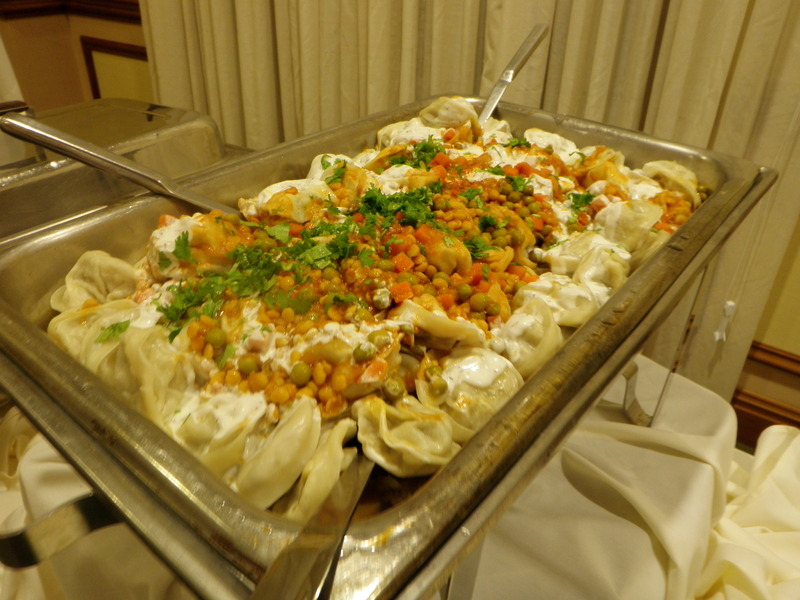 Note the East Asian influence in the manti, aka dumplings. I LOVE dumplings and could've easily made a meal out of these lamb-filled beauties. 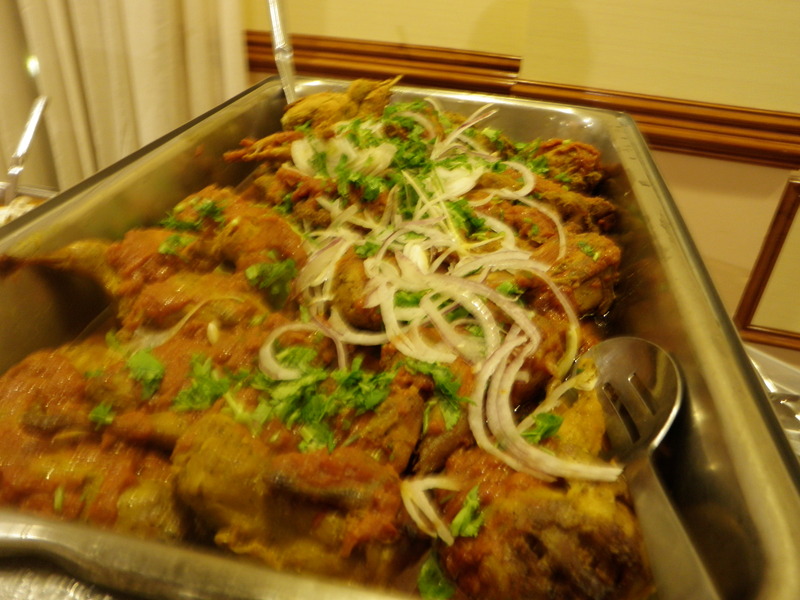 My friend Nilofar was loading my plate up with them. I had to tell her to stop, but not because I didn't want them 😉 Just had to save room for other goodies. The question of the night on this poultry dish was "what bird is it?" I'd hazard a guess that it was quail or very small pheasants. Pigeon is a distant second possibility. I had to restrain myself from picking up this little birdie and eating the meat off of the bones. Look at that gorgeous yellow color! This was my possibly my favorite chicken dish of the night. I detected turmeric, possibly some saffron, and some sort of tangy citrus in there. If anyone knows exactly what this is or how to make it, hollah at me in the comments section! Curry in a blurry! 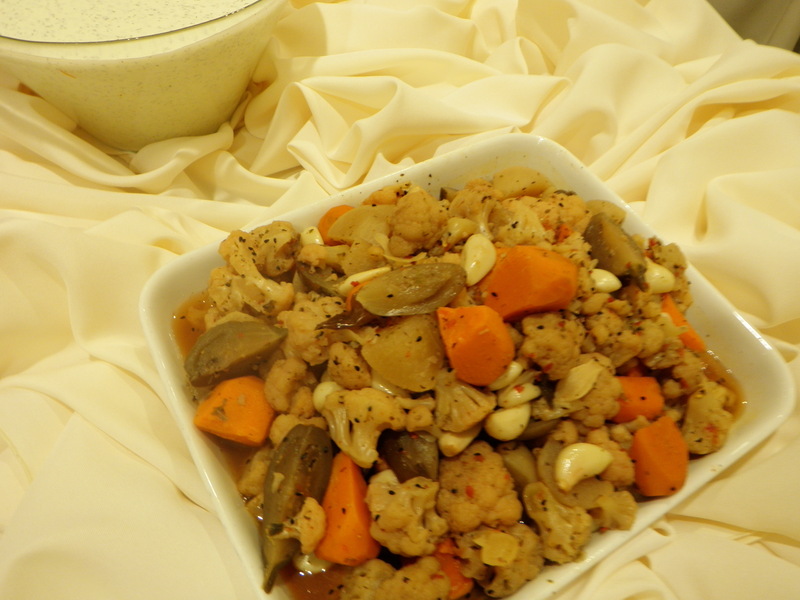 Sorry for the blurry shot, I'm just including it because it's a mild curry-like dish, which reminds me that there Indian and Afghani cuisines have influences one another quite a lot through the ages. 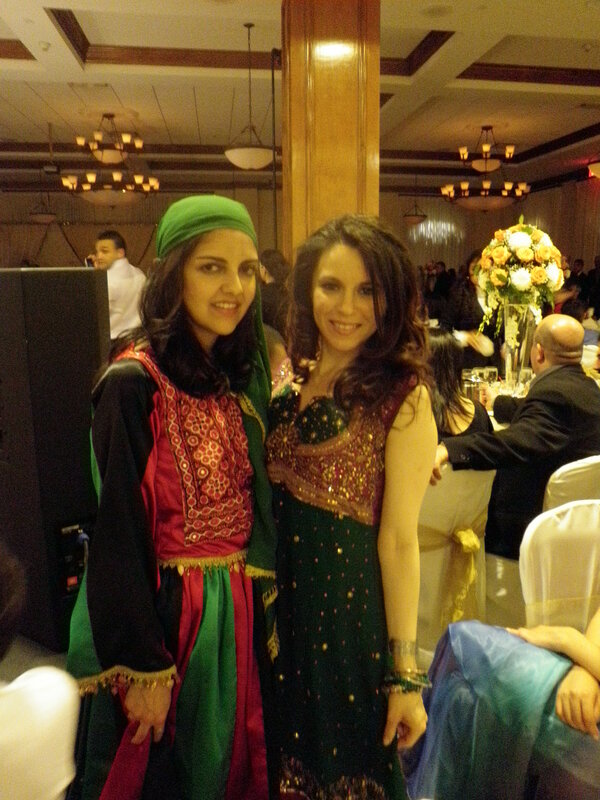 Nilofar (left), and her sister Mary. My girls! It was great seeing them again. Aren't they gorgeous? 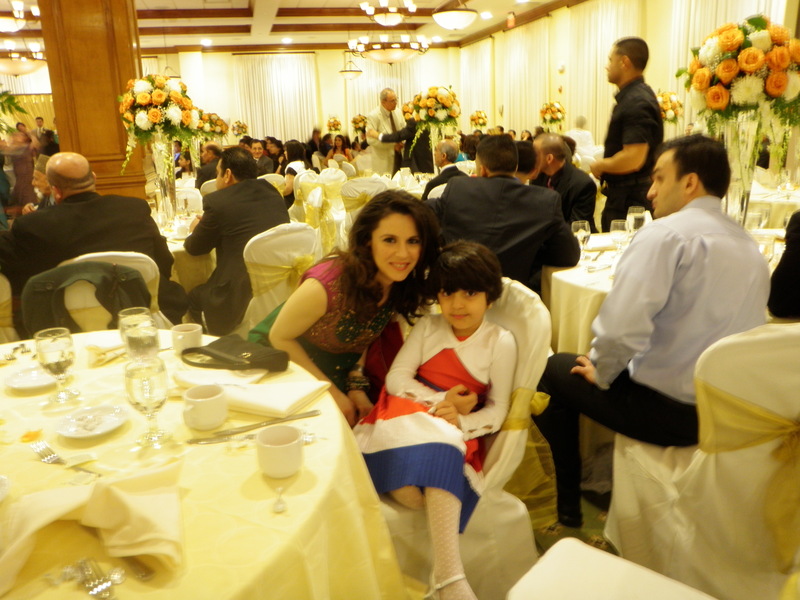 As well all know, weddings are a great chance to catch up with old friends and meet new ones, so I was so happy to get to hang with Mary and Nilofar, among others, and to meet their adorable nieces and nephews. Traditional dance moment. Loved it! Gonna try to get some video I took of it uploaded. Overall, it was a fun evening and quite entertaining. 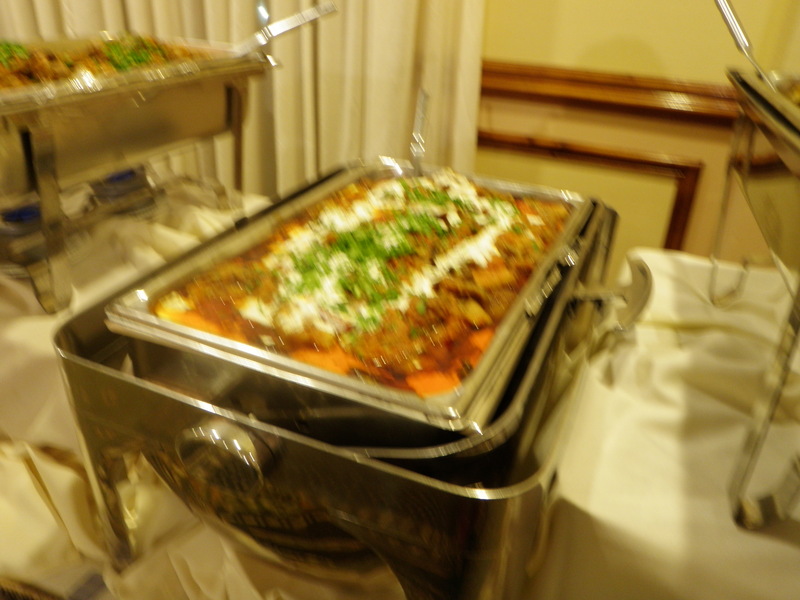 I do plan to feature some Afghani cuisine on this blog very, very soon. As you can see, it’s creative, delicious, and full of beautiful flavors.